Dare to bare this season with this crop top that's sure to get you noticed. 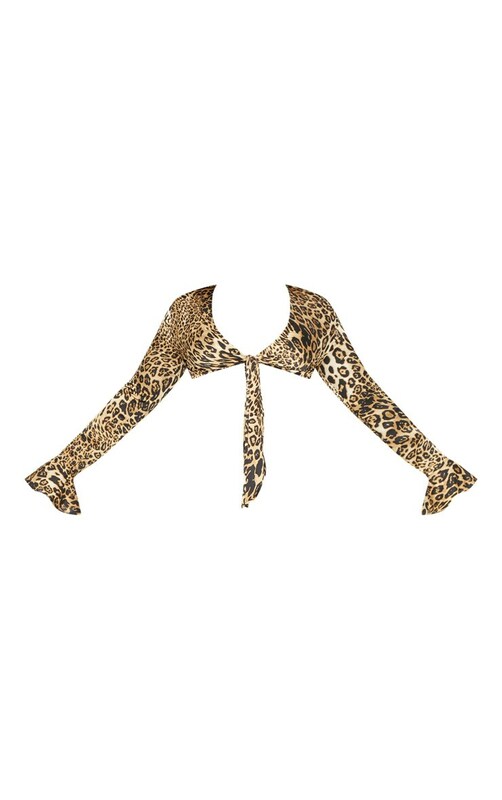 Featuring a tan leopard print material with a frill detail and tie fastening. Team this with a vinyl skirt and strappy heels for a night out with your bestie.